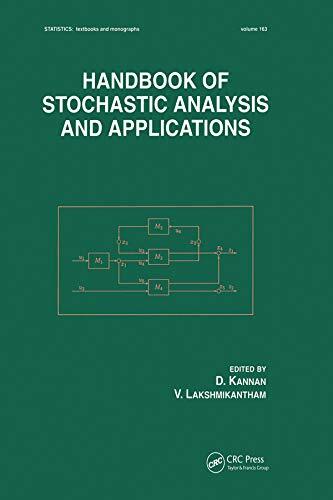 [PDF] Handbook of Stochastic Analysis and Applications (Statistics: A Series of Textbooks and Monographs) | Free eBooks Download - EBOOKEE! Description: An introduction to general theories of stochastic processes and modern martingale theory. The volume focuses on consistency, stability and contractivity under geometric invariance in numerical analysis, and discusses problems related to implementation, simulation, variable step size algorithms, and random number generation. No comments for "[PDF] Handbook of Stochastic Analysis and Applications (Statistics: A Series of Textbooks and Monographs)".